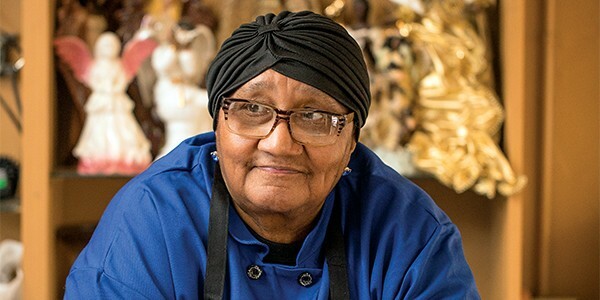 Through a succession of kitchens — from her grandmother’s to The Peabody to her own restaurant — Peggy Brown (above) has spent her life sharing her gifts with others. Peggy Brown was 7 when a pot of coffee fell off a table and severely burned her foot. "My grandma was so upset," Brown says. "She made me stay out of the kitchen." But that didn't stop her. "As soon as my foot healed, I was back in the kitchen. I got a whipping about being in the kitchen, but that didn't deter me." She's been in one kitchen or another ever since. 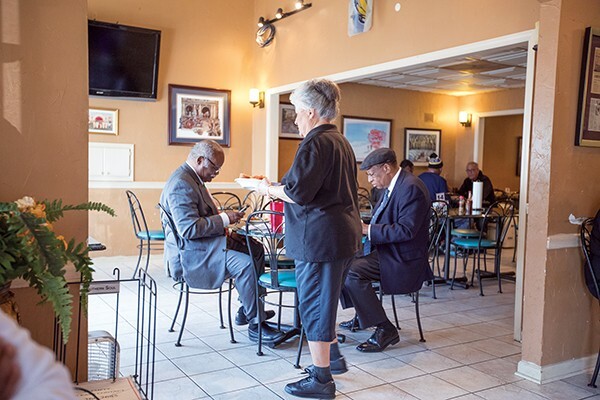 Brown, 69, is owner of Peggy's Healthy Home Cooking on Cleveland Street near Peabody Avenue in Midtown, and she recently opened another thriving restaurant, Peggy's Homestyle Cooking, on Brooks Road. 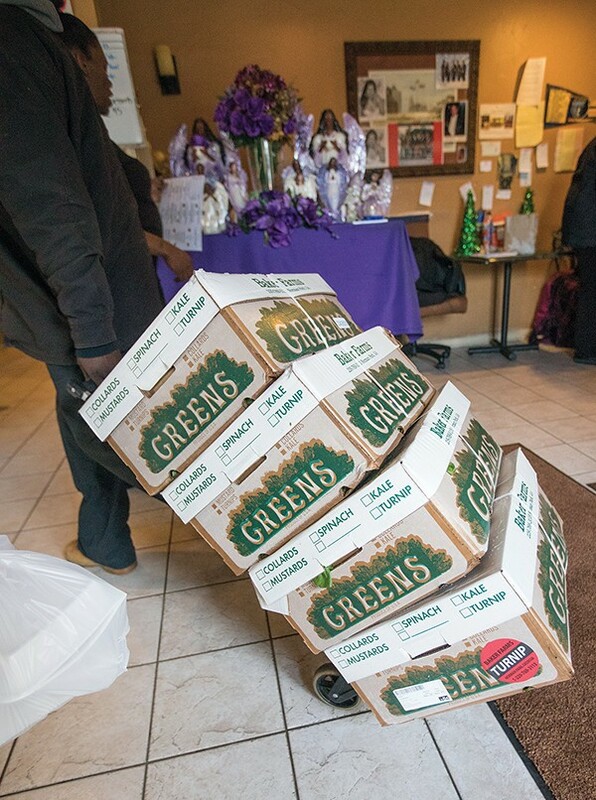 Brown has a reputation for putting out some of the best and healthiest soul food in town. But the road to success was long and difficult. Until she had her own restaurants, Brown worked in many Memphis kitchens, including one at The Peabody, where she shared cooking tips with noted chef/journalist Burt Wolf. "I think God gave us all a gift," Brown says. "And I think my gift was cooking." But, she says, "Let me tell you something. I think the things that you go through in life — God shapes you. You don't understand at that point in time when it's all happening, but when you get grown and you look back, all these things served to make you strong. I'm telling you. I have survived stuff that would kill anybody else. Believe me." Brown grew up on a farm in Arlington. "My mom was part Indian ... white, black, and I don't know what else. My dad was black as these shoes I got on. When we got old enough, we'd go to the field and pick cotton and chop cotton. The sun didn't like me. I would welt up and be at home at night crying." She made her kitchen debut at the age of 8, because her parents made her "stay at home and cook." Brown's mother and grandmother — her father's mother who lived with them — did the cooking. "My mom was a good cook, but my grandmother was a great cook. I don't know what it was, but she could make anything taste good." Brown says her grandmother was "what you called a Mississippi cook. That's old South. 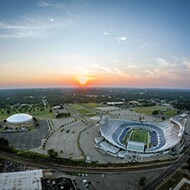 Mississippi, Alabama, Georgia, Arkansas. 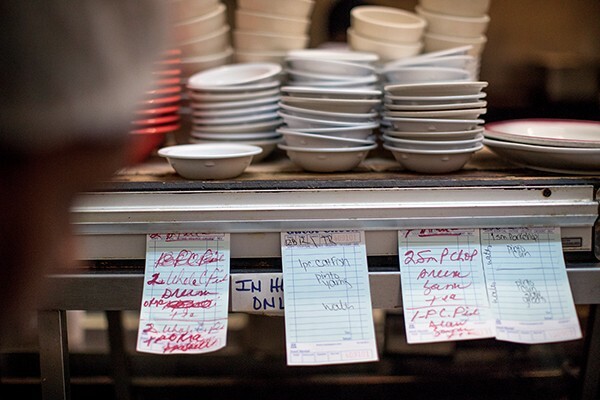 All of it is going to taste similar because the recipes were passed down from one generation to the next generation." Cutting out biscuits with an empty jack mackerel can was Brown's first kitchen duty. "It was like playing with Play-Doh for me." She progressed to making the biscuits and, finally, making lunch. "I knew how to make things because my grandmamma made them." Brown cooked lunch until she was 15, when her mother and father separated. "They went their separate ways," she remembers. "And everything just seemed to fall apart. After that, I stayed with my grandmamma. My mom disappeared for about three or four years. "My brother was a baby when my mother left. I was a child raising a child. My grandmother was a fantastic cook, but she was also an alcoholic. That's who my mom left us with — my dad's mother. She drank like a fish. And half the time I don't think she knew if we were living or dead. Because the older she got, the more she drank." Brown's mother finally returned, and she had remarried. At that point, Brown says, "Everything — as old people say — went to hell in a handbasket. Nothing was ever the same again. Everything was just different. Basically, we had a stepdad who wanted to be married to our mom, but didn't want to be bothered with her children. It was just one of those things." Brown and her brother continued to live with their grandmother. Their stepfather "was very mean to us. My mom did not allow him to hit us, but, you know, words hurt worse than nicks sometimes. That's the reason I tell people, 'You have to be careful what you say to children. You can damage children by talking down to them all the time.' That's what he did. He always said, 'Well, your children ain't going to be nothing because their dad wasn't nothing.'" Brown was raped when she was 15. She refused to have an abortion and gave birth to her first child, Marvin Anderson. After he was born, she took a job washing dishes at the old Shelby Restaurant. But even then, she couldn't resist the lure of the kitchen. "The frozen pies they would buy, they were just plain old pies to me. I would always take butter and sugar and everything, kind of dress them up and put them in the oven and make them taste good." After her stint at Shelby Restaurant, Brown worked at a Chinese restaurant and, later, at a doughnut shop. Then she got a job cooking at Shoney's, where she "doctored on a lot of things," including their meatloaf and soup. Brown left home at 18. "For the longest time, I didn't speak to my mother. I felt like she should have left that fool and taken her children. She shouldn't have let us be abused and talked to that way." Brown had another son, named David Nelson, who has since passed away. She got married in 1972 and had a daughter, Tina Brown. But after her marriage didn't work out, she moved to Indiana and began cooking for a division of Ford Motor Company. The company paid for her to take cooking classes at a local college. But fate — and her family — intervened. "My mom got sick," Brown says, "and I ended up moving back home." By then, she had forgiven her mother, influenced by a woman at church who told her "hatred is one of the worst diseases you can have. It's a disease that can destroy you." Then came a career change that would shape the rest of Brown's life. In the early 1980s, Brown got a job as a cook in the employee cafeteria at The Peabody, where she met Wolf, who was then head chef. "I thought he was the most amazing person I had ever met in my life," Brown says. "I still do. Because he knew so much about food. I knew things that he didn't know. And he knew things that I wanted to know. "He knew about filleting fish. He knew about pork chops. He knew how to marinate meats and everything to make them taste good, make them tender. He just knew so much, but he knew nothing about Southern cuisine. That was not his thing." After she got off work, Brown would stay and watch Wolf cook. He asked her what she was doing in the kitchen after hours. Brown said, "I'm up here hanging with the chefs because I want to know what y'all know." And before long, that's what began to happen. "[Wolf] started showing me things. He'd show me how to cut up this and how to marinate this and what to put in this. And we just started sharing things." There was the "turkey fiasco during Thanksgiving time," Brown remembers. Wolf made "stuffing" for the employee holiday dinner. "I said, 'Chef, what in the world is this? People in the South don't eat this.' It wasn't anything but just dough. Dough rolls. People in the South eat cornbread dressing." Wolf told her to serve it anyway. "So, we wheel all this stuff downstairs to the employee cafeteria. Phones start ringing upstairs. 'Chef, what's this mess you sent down here?'" Wolf, knowing when he was licked, told Brown to make her dressing. She made cornbread stuffing with sage, onions, celery, bell peppers, butter, and margarine. "I had to make my giblet gravy and everything. I don't know what kind of gravy chef made, but it was a mess." She added some turkey meat to her dressing and took a cup to Wolf in his office. "I said, 'Chef, here you go, dude. This is what you have in the South for Thanksgiving.'" Wolf ate the dressing and then asked her for another cup, Brown says. Wolf kept passing along his knowledge to Brown. "If you admire a person for what they know," she says, "a lot of times they don't mind teaching you." After Wolf left Memphis to open the Peabody Orlando, Brown stayed at the Memphis hotel another year and then went to work as the chef at Stonebridge Country Club. When the club was sold, the former owner wanted Brown to relocate to a club elsewhere in Tennessee, but she refused. "I wouldn't because my mama was still sick and I wasn't going to leave her." Brown briefly went to work for a diner, but says she "got tired of the racism." At that point, she decided to open her own restaurant. "I kept telling everybody I was going to have my own business and work for myself. I was serious as a heart attack. One of the other girls asked me, 'Miss Peggy, what are you going to name your place?' I said, 'I don't know, but it's going to be 'heavenly' something 'cause you have to put God first.'" As for the kind of food she'd serve? 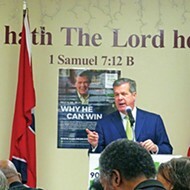 Brown says, "I just wanted people to have a good, home-cooked meal. Because everywhere I went to eat food, most of it was out of a can and people can't cook worth a crap." 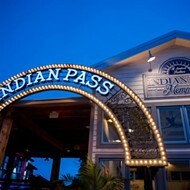 Brown opened her first restaurant in 1996 — Heavenly Hash on Highway 51. She closed it three years later, after her mother died. 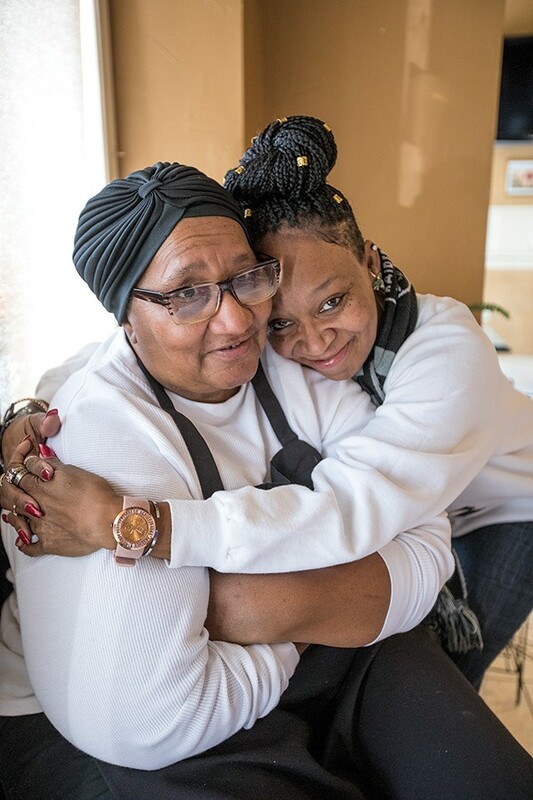 "When I opened that restaurant," she says, "it was because I wanted to buy my mom a house. She always wanted her own house. After mom died, it just didn't have any meaning for me anymore." Brown then bought a restaurant in North Memphis and named it Peggy's Just Heavenly Home Cooking. After a fire struck the restaurant, Brown briefly got out of the business. But it wasn't long until her daughter asked her to cook at the restaurant where she was working. 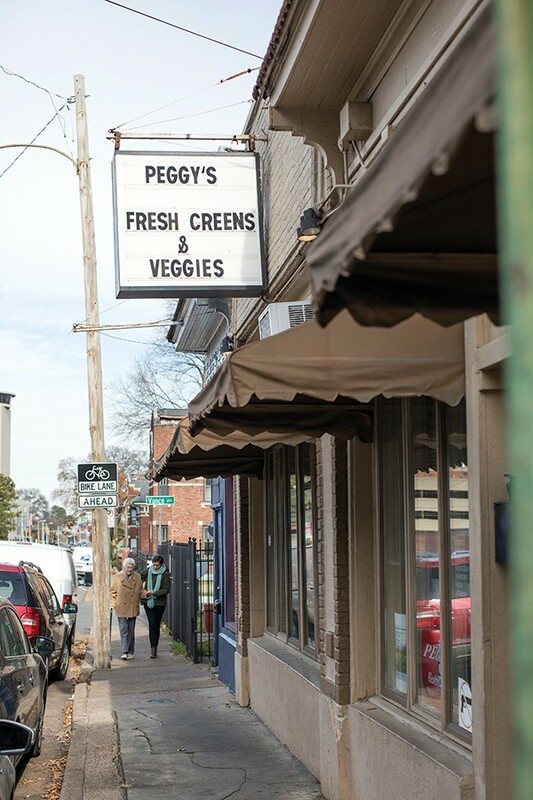 Brown eventually bought the restaurant, now called Peggy's Healthy Home Cooking. She serves meatloaf, chicken, and pork chops, but the emphasis is on healthy food, Brown says. And business is good. Noted songwriter/producer David Porter is a big fan of Brown's restaurant. "The consistency and the quality of the meals is just something you can be comfortable with," he says. "You know if it's good on Monday, it's going to be good on Tuesday. 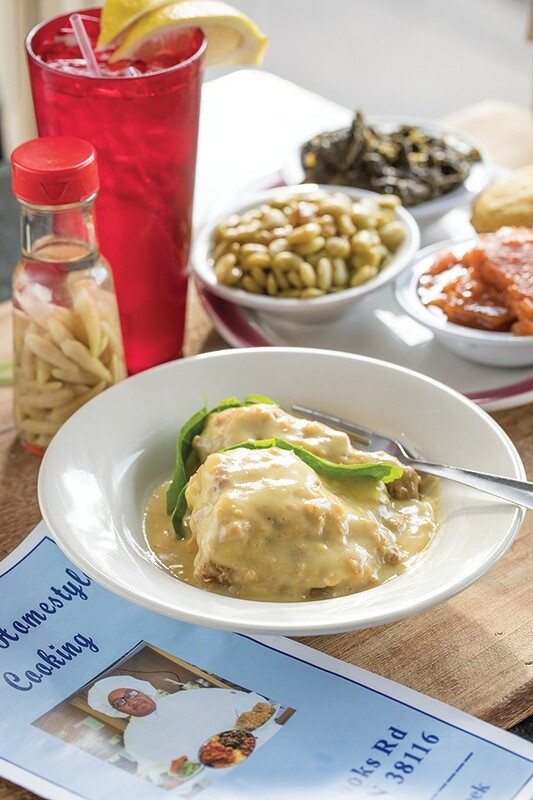 It's one of the best soul food restaurants in Memphis." Former Memphis Mayor A C Wharton is also a fan. "You might as well forget about the salt and pepper shaker," he says. "It's ready to eat. All you need to do is add fork and knife. It reminds you of back home, watching your mama cook in a small pan. And every morsel tastes the same way." Of Brown, Wharton says, "She's always willing to sit down and talk a minute and catch up on the news. Just a lot of good common sense talk. So, it's just like being home around the kitchen table." "I think God allowed me to go through all the hardships and all the hurt and all the pain and anger and stuff that I went through," Brown says. "I couldn't understand why it was happening then, but I think I understand it now. Because I feel like God has put me in a place where I was going to meet people that had been through the same things I've gone through. "Well, he didn't give me a house by the side of the road, but he gave me a restaurant by the side of the road." 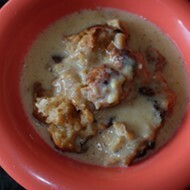 No Cook Banana Pudding from Michael Donahue on Vimeo.